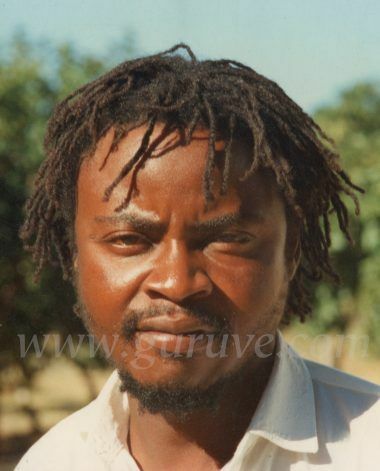 Brighton Sango was the leading light of his generation of Zimbabwean sculptors and was hugely influential in the development of the Shona art movement.He was born in 1958 in Guruve, Northeast Zimbabwe. Coming from a large poor family, his formal education lasted only two years. 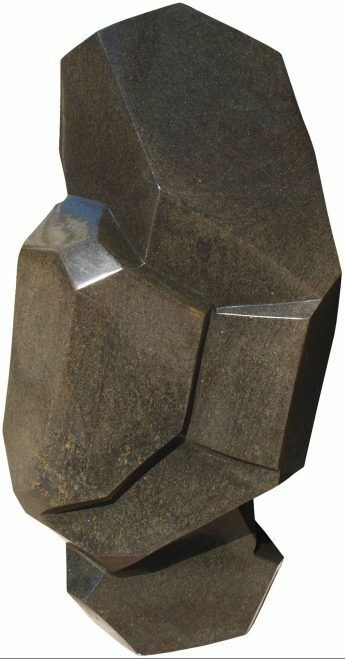 He began sculpting as a result of contact with the nearby Tengenenge sculpture community, and learnt the basic techniques from Bernard Matemera, but stayed only a few months as he strongly felt the need to work alone and develop his own style. At Independence in 1980, Brighton Sango came to Harare, which was the focal point for the most respected Zimbabwean artists. He struggled with the urban environment and, in 1990, he returned to the bush (sango). 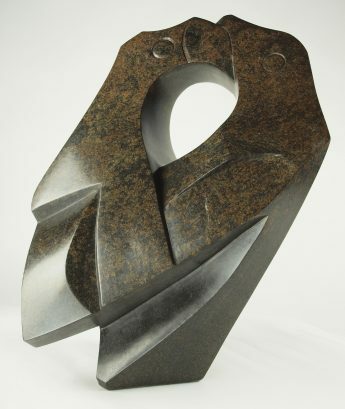 Sango seems to have been the most introspective of all the Zimbabwean sculptors: his inspiration came from within rather than from Shona culture and tradition. His abstract forms challenge what we think of as African art, and Western observers presumed a Western ‘cubist’ influence. Needless to say, his ideas were all his own and Shona sculpture has never been the same since. In 1995, Brighton committed suicide, overwhelmed by the intense personal feelings that drove his creativity. It was a tragic loss of the Shona art movement’s brightest young star. We also have a few pieces of Brighton’s work that are not yet on the web gallery. If you are interested, please contact us and we can send you photos.